NOTE: A few weeks ago, I posted a blog saying our spirituality and our success in serving God are not measured in numbers. Some of you responded with thoughts reminding me that, while spiritual measurements are not usually given in numbers, numbers are very important to God. I completely agree – enough so, that I thought it a good topic for today’s blog. 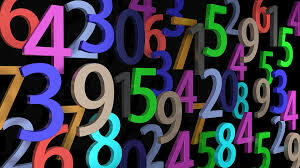 The Bible is full of numbers: God took a census of His people on several occasions. He recorded people’s ages when they died and length of reigns of kings. We’re told the number of people fed with Jesus’ loaves and fishes, the number of fish caught when the fishermen threw the nets to the other side at Jesus’ instruction. The book of Acts presents the initial growth of the church in ever-increasing numbers. Paul records specifically how many times he was beaten with 39 lashes. These biblical numbers can be taken as counts and records. At other times they might be seen symbolically. For example, when the Bible says there are 10,000 x 10,000 angels, maybe it means there are so many they cannot be counted (like we might say “a zillion”). As we observe how God used numbers, 10 often seems to refer to present kinds of earthly governance (reflected in the 10 Commandments), while 12 seems to refer more to God’s kingdom plan (12 tribes, 12 apostles). Seven is the considered the number of completion (as in the creation account) and 6 is seen as the number of man. Forty often refers to times of trial (Israel’s 40 years in the desert, Jesus’ 40 days of temptation, Noah’s 40 days of rain). But maybe the most important scriptural mathematical principle of all is how God shows personalized attention to His creation. He knows the number of hairs on each of our heads. He determines the number of stars and has a name for each one. He sees even one sparrow that falls. The great and glorious God who created a mathematically ordered universe, remains intricately involved in it. Isn’t He amazing? This entry was posted in God, Jesus, The Bible, Truth and tagged God, Jesus, unseen world. Bookmark the permalink.